This is the Deep Sea, a new affordable diver from UK based Trieste Watches. Designed in Italy, powered by a 24 jewel, Japanese Seiko NH-35A the Trieste Deep Sea is inspired by Rolex’s famous experimental wristwatch of the same name. However with its ample 300 meters of water-resistance, it is no extreme diver. 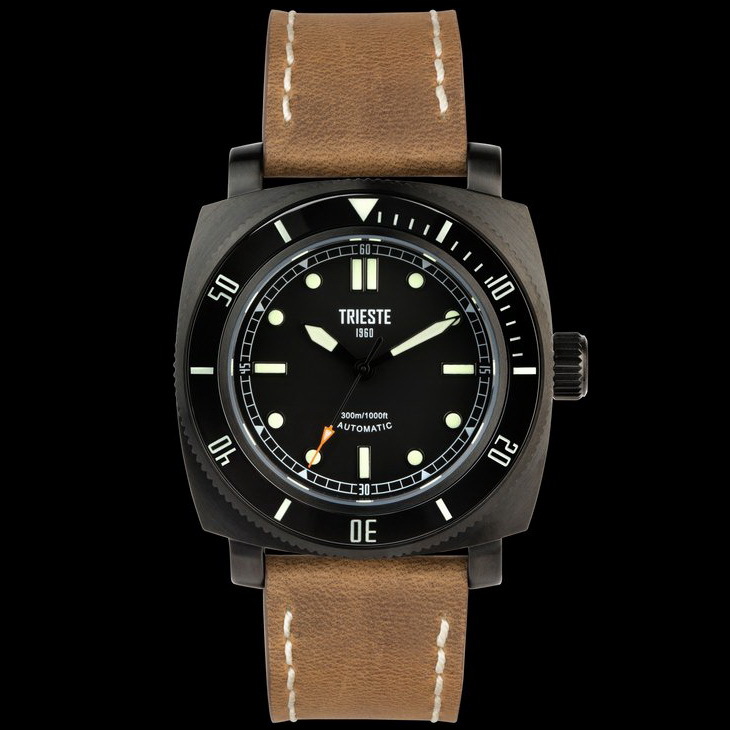 It does though have plenty of recognizable design cues that should appeal to vintage watch enthusiasts. 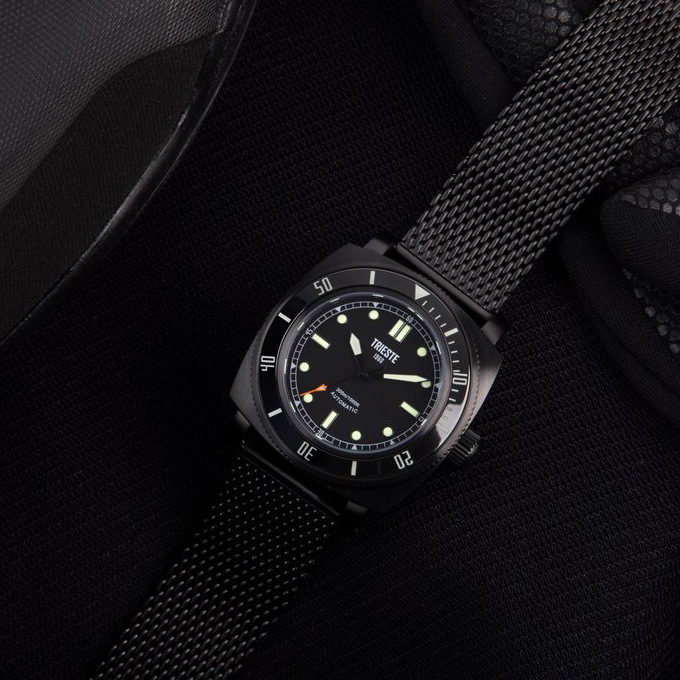 The Deep Sea’s 316L surgical-grade Stainless steel case measures 44mm in dimeter with an L-2-L of 53mm. It is fitted with an AR-treated Sapphire crystal and screw-in crown. 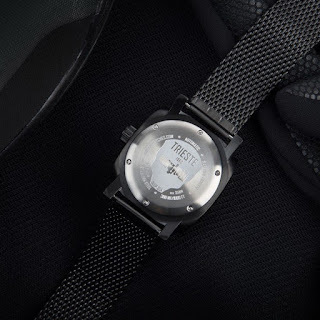 Its case-back which has an engraving of the Marianas Trench with the Trieste Bathyscaphe descending in to the Challenger Deep is secured by six screws. Further features include a dial C3 SuperLuminova hands and markers, a ceramic inlayed divers bezel and a Milanese mesh bracelet. For further details please follow the link embedded, below. 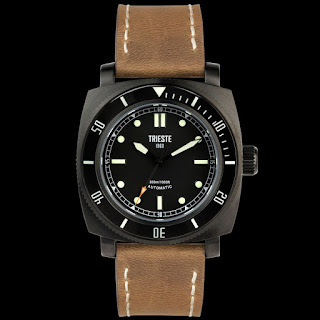 OceanicTime has no affiliation with Trieste Watches.